Pre-order today to gain access to exclusive features! When you purchase a Founders Edition CreativeBot Duo, you’re signing up for a completely risk-free, money-back guarantee way to support our unique startup while getting the even more out of your Duo order! You’ll receive exclusive Founders Edition customizability and component upgrades all at a limited-time, reduced company launch price! The CreativeBot Duo is the optimum choice for any 3D printer enthusiast or professional looking to catapult their 3D print projects with upgraded quality, speed, and accuracy all with one printer. 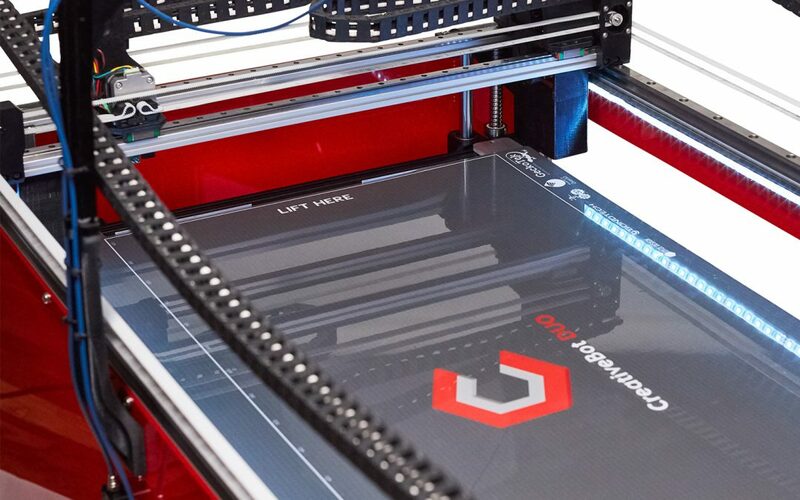 This customizable, multi-functional printer allows you to create models and projects faster, larger, more comfortably, all at one of the best cost-to-quality ratios ever. We project Founders Edition orders to start shipping Fall of 2019 on a first-come-first-serve basis. Each of our Founder’s Edition printers goes through the same rigorous testing that our standard Duo’s will and won’t leave our facility until they are fully functional. Your printer’s first print will be included in the package to prove its functionality. Celebrate the company launch of Creative 3D Technologies by ordering Founders Edition today! Remember that pre-ordering comes at no risk, unlike Kickstarter 3D printers. If we fail to meet our company launch product quota, your money back is guaranteed. To pre-order your Founders Edition Duo, please visit our online shop <HERE>.